FRANKFURT (March 7): German-based chipmaker X-Fab Silicon Foundries SE is raising about 500 million euros (US$530 million) via an initial public offering in order to fund its global production expansion. The company with headquarters in Erfurt, central Germany, said Tuesday it intends to list shares on the Euronext Paris exchange. It is majority-held by its Belgian founders, including Chief Executive Officer Rudi De Winter. X-Fab’s semiconductor wafers go into chips designed by its customers for car dashboards, factory floors, doctors’ offices and smartphones. BNP Paribas SA and HSBC Bank PLC are leading the offering, with Credit Suisse Group AG, Commerzbank AG and Frankfurt’s Oddo Seydler Bank AG also acting as underwriters. The company studied listings in Germany, Belgium and France before choosing Paris because of its investor base and proximity to a major plant, X-Fab CEO Winter said in an interview. The Malaysian state of Sarawak, whose Sarawak Technology Holdings owns 35% of X-Fab, plans to sell some of its shares in the IPO, and Japanese electronics company TDK Corp subsidiary TDK-Micronas with 2%, will also sell all of its shares, De Winter said. 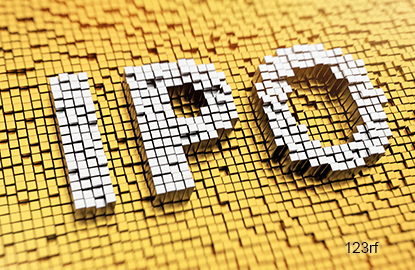 The IPO will be priced later this month. De Winter and his two partners hold 61% of the company and plan to hold onto their shares, he said. As manufacturers of digital chips that handle the most computing-intensive tasks in PCs and mobile devices move to more sophisticated production processes, X-Fab has been buying up their older factories. It has been converting them to turn out its customers’ analog "mixed signal" chips that can be used to sense rain on a car’s windshield or light its interior when a driver gets in, help detect images in an ultrasound, or read fingerprints on a smartphone’s home button. X-Fab owns six such plants in Europe, Malaysia and the US and plans to use the IPO proceeds to hunt for more production capacity, De Winter said. The planned offering is X-Fab’s second attempt to go public. The company, which is registered in Belgium and was founded by De Winter, his wife Francoise Chombar and Belgian businessman Roland Duchatelet nearly 30 years ago, pulled a planned IPO in 2004. Bloomberg News reported at the time the company sought too high a price, didn’t file an on-time prospectus and Commerzbank pulled out of managing the offering. De Winter said “quite a few” investors pulled out after terrorist train bombings in Madrid disrupted the company’s roadshow there as it pitched investors. De Winter, Chombar and Duchatelet hold shares of X-Fab through their investment vehicle Xtrion NV in Belgium. The group started the company that became X-Fab as a foundry in about 1990, De Winter said. At the same time they founded a semiconductor designer company that became Melexis NV, which went public in 1997. Chombar is CEO of Melexis and Duchatelet is its chairman. De Winter was CEO of Melexis until 2011, when he became co-CEO of X-Fab. He became sole CEO in 2014. X-Fab’s sales last year were US$513 million and its earnings before interest, taxes, depreciation and amortization were US$100 million, according to De Winter. There were 10 European technology IPOs last year, a “brisk” pace despite challenges in other regions, according to a PriceWaterhouseCoopers report published this year. The largest was Danish payments processor Nets A/S, which listed in September and then fell. Germany’s Rocket Internet SE and Zalando SE went public in 2014, but Rocket so far hasn’t been able to list companies in its investment stable, including Delivery Hero Holding GmbH and HelloFresh AG. Music service Spotify Ltd may delay an IPO till next year.